D.C. officials have preliminarily blocked Metro's plan to continue operating the system on shorter hours to allow for more maintenance time. Mayor Muriel Bowser has urged Metro to return to later hours, a move that Metro board members from Maryland, Virginia and the federal government have opposed, saying they need the hours to remain reduced for at least another year, so that more maintenance can be accomplished on the aging system. D.C. Metro board members have voted in favor of changing some maintenance time so trains can run longer, especially on weekends. But that's not sitting well with the rest of the region. On Wednesday, Metro's board voted 3-1 to keep the current maintenance plan in place. However, the one no vote was from the District, which can use veto power to force the return of longer hours. "We can't continue to be asked to support a system that doesn't serve the needs of our region," Bowser said earlier this week. Locals who need to get around town early in the morning or late at night say shorter Metro hours force them to pay for cabs, Ubers and Lyfts. Metro General Manager Paul Wiedefeld has previously said he would resign if he didn't get his way on this issue. There was not immediately any indication on Thursday if that was on the table. This all means the plan to bring back late-night hours and earlier openings is in play for now. The full Metro board is set to meet in two weeks for a final vote. D.C. leaders acknowledged they were the lone no vote. They said they will work to find any potential compromise. But as one D.C. board member put it, "There is no daylight" at this time to make that happen. Metro reduced late-night service in 2017 to leave more time for maintenance. During a hearing that preceded Wednesday's vote, Metro board member Clarence Crawford argued that Metrorail would gain about 600,000 late-night trips annually with extended hours, but would lose 11 million other trips because more single-tracking would be necessary to shift maintenance to midday and evenings, driving many riders further away. A federal board member said that as of Tuesday night, the Federal Transit Administration — which took oversight over Metro in 2015 after a deadly smoke incident — said $1.6 billion in funding would be put at risk if Metro changed course and extended hours, wiping away current extended maintenance hours. 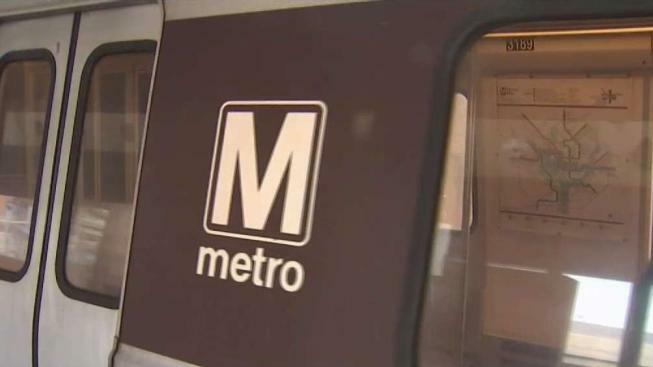 The FTA has said Metro must continue its maintenance program. But D.C. officials have argued that reduced late-night service is inconvenient for riders.